AS CERTIFIED ARBORISTS, WE PRIDE OURSELVES ON EXCEPTIONAL LEVELS OF CARE AND EXPERTISE, AND TREAT YOUR TREES AS IF THEY WERE OUR OWN. Trees add beauty significant and value to your property, and proper tree care is an important investment in their health and wellbeing. Our certified arborists love trees! We will help you choose the right trees that meet your aesthetic and functional needs. We will ensure that trees are carefully selected, planted, and nurtured to optimize their health. 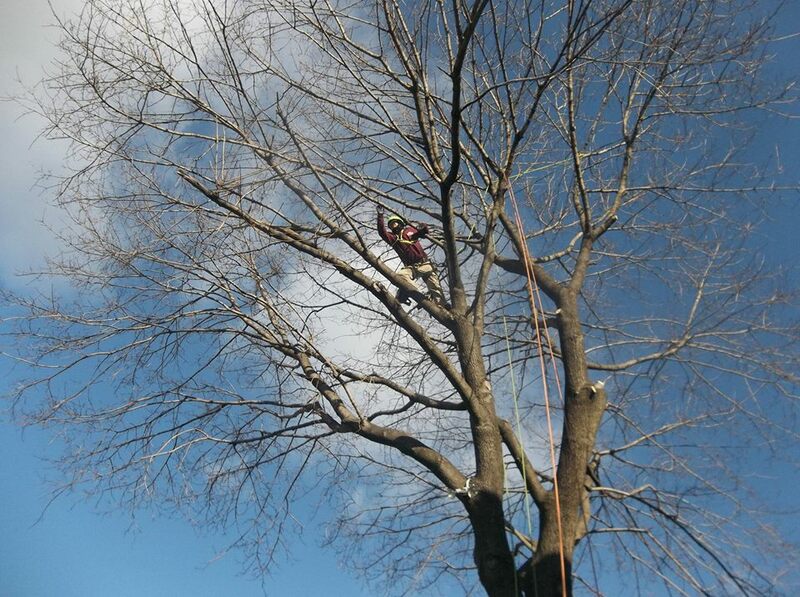 We are experts at diagnosing and treating tree and shrub problems specific to the Hudson Valley area. And, we offer comprehensive maintenance including pruning and fertilization to ensure that your trees and shrubs remain healthy and vibrant. TREE PRUNING: Tree pruning is an art and a science. Our ultimate goal is not only beauty, but ensuring that your trees are healthy and able to withstand pests, disease, and environmental challenges. TREE REMOVAL: We understand how much trees add to your property value. Should a tree die, our tree removal service will remove the entire tree, leaving your property ready for new plantings. STORM DAMAGE: We clean up the mess left behind by storms, including special care for storm-damaged trees and shrubs, removal of hazards, and reviving the beauty of your landscape. TREE & PLANT HEALTH CARE: Our certified arborists offer comprehensive tree and plant health care services to ensure that your commercial landscape is attractive and thriving today and for many years to come. "As a Facility Manager, I have contracted Lehigh Landscaping for the past 8 years to maintain the high profile corporate facility in Orange County that I am responsible for & I highly recommend Alan Lehigh & his team…"